I recently bought a new bicycle. After extensive research, I settled on the Specialized Ariel Sport Step-Through. The research has paid off. Ideally, I wanted a bike that is complete. What is complete you might ask. 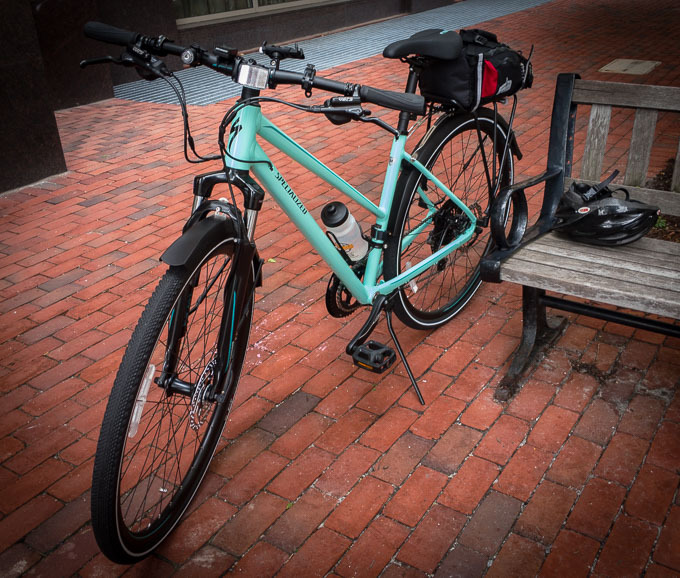 In my book, complete is a bike with fenders, rear rack, kickstand and a built-in lighting system. That’s almost impossible to find here in the US. Short break during a weekend ride. Time for a quick photo. Those were the must-haves. Some bikes came close. 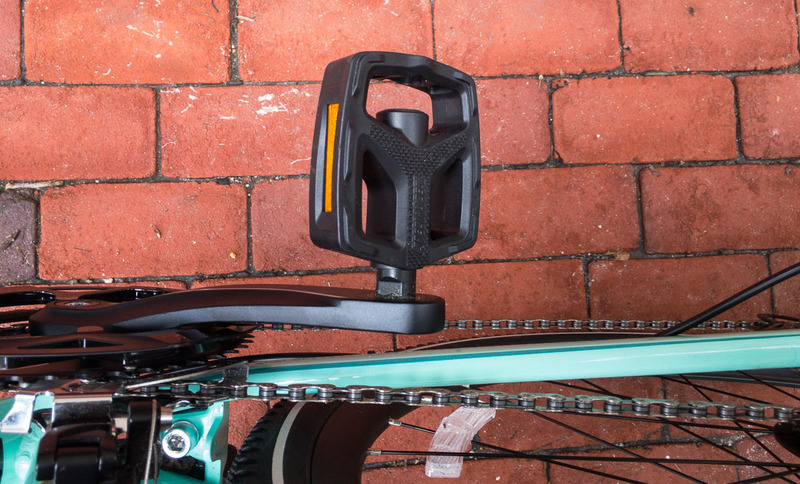 But in the end it is easier and cheaper to put some fenders, lights (not dynamo driven), rack and kickstand on than a new front fork or disk brakes (require a frame that supports them). After I finalized my research, I knew what I wanted. Now another problem popped up, none of the stores had the bikes that were on my (very) short list in store. That means I had to order the bike to find out if the bike is right or not. In that case, it is important to find out if the store will take the bike back, if there are restocking fees and if there will be a store credit or money back. I visited a few bike stores and settled on one store I felt confident to do business with. The guy in the store put me on the correct size of a very similar bicycle, and I ordered my bike. The bike is great, fits like a glove if you will. For me, this is an all-purpose bike, a means of transportation. To be used for recreational tours, grocery trips, and so on. The Vélo Love section will include posts about my bike, trips, bike gear, bags I use with my bike and so on. There will be photos that go along with this. My short list consisted of two bikes in the end: Specialized Ariel Sport Step-Through and Fuji Traverse 1.5 ST. I read that Specialized is one of the few companies that make true women-specific frames, which settled my decision. In the end, it is all about the fit of the bike, if it is the right tool for the purpose.